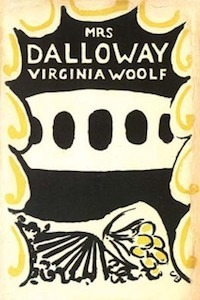 Tonight, on Bloomsday, the 42 Minutes Seasonal Book Club seeks a sense of proportion in the pages of Virginia Woolf's 1925 modernist masterpiece, Mrs. Dalloway. 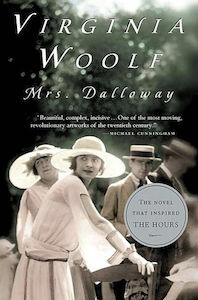 Topics: Stream Of Consciousness, Composed, WWI, Class, London, 1923, The Hours, Septimus, Connection, Nature, Sky Writing, Conversion, Colonialism, Lark, Hero's Call, Plunge, Wave, Leitmotif, The Waves, Infinite Jest, Bark, Science, Conrad, Prosody, Royal Wedding, Suicide, Joyce, Ulysses, Hostess, Have Ellen Harrison, Art, PKD. Upon the release of the full length feature sync film, Vision & The Voice, the program has the pleasure of sharing 42 Minutes with its creator and the editor of the Sync Books, Alan Abbadessa Green. As the media age gets deeper into the fake news era, the program considers again whether or not it's all a conspiracy by reconnecting with Kirby Ferguson, the filmmaker responsible for This Is Not A Conspiracy Theory & Everything Is A Remix.